Gaius Valerius Verrens has returned to Rome and is made a Hero Of Rome by the Emperor, Nero for his actions and bravery in Britain. Of course being in Nero’s spotlight isn’t always a good thing as Verrens finds out after having been solicited by Nero and then given an almost impossible task, apprehending Petrus, the leader of a new religious sect that threatens to undermine Roman society and politics. The author has given us a story of much intrigue and has populated the main story line with many obstacles for Verrens to negotiate and overcome in this exciting sequel. While the first book was of a military mindset, this one is more of a detective story set mostly in and around Rome itself. That in and of itself shows the author’s ability to move his main character into a situation involving different skills while building on the lessons learned and confidence gained in his earlier experiences. A page turning tale that brings one face to face with power politics, religious fervor and the struggle to satisfy a capricious leader, I heartily recommend this book and series. I must say at the outset that anytime an author can take a well known, pretty much been done every which way tale and imbue it with a knack of rekindling interest in the time worn saga, then said author has done something special. This is the third volume in this series and we find our mythic heroes in the tenth year of the war with no end in sight. The main participants, Odysseus, Achilles, Agamemnon, Hector, Helen; well the list goes on…they are brought to life with all of their fears and doubts as well as the twin cornerstones of the conflict, pride and honor. The conflict rages not only on the battlefields but in the hearts and minds of the combatants…so much tension…so many paths and decisions to make. 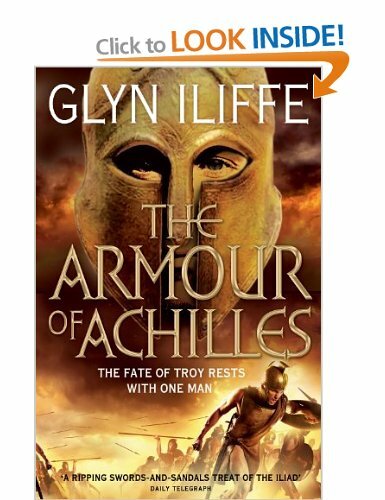 The author has crafted a wonderful take on The Trojan War, a take with many plots and surprises along the way while at the same time replaying the familiar scenes, such as Achilles and Agamemnon’s feud or the battle between Achilles and Hector in a way that makes them fresh and exciting. Cassius Quintius Corbulo, newly commissioned officer in the oft despised branch of the Roman army, The Frumentarii, is well aware that he is ill equipped for the duty that has been thrust upon him. At the ripe old age of nineteen and with no experience in field command he is tasked with saving an outpost fort that is manned by a ragtag, veteran, under strength Century which has lost all semblance of discipline and which faces the imminent arrival of an enemy force five times their number. Against this backdrop, the author has constructed a well crafted story filled with great characters and a tension filled plot line. I found myself immersed in the character of Corbulo has he struggles with his self doubt and at times his overwhelming fears. I also found myself unable to put the book down and lost a bit of sleep because of it, but that is a good quality in any book. 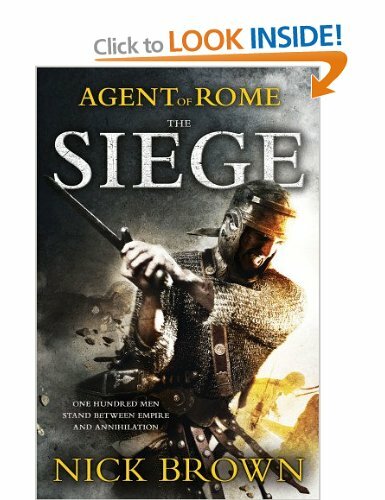 Well researched and written in an easy flowing style with action scenes described in a way to bring the reader into the minds of the beleaguered Romans and their adversaries. I heartily recommend this book and will be losing more sleep when I start the sequel. 5 stars. 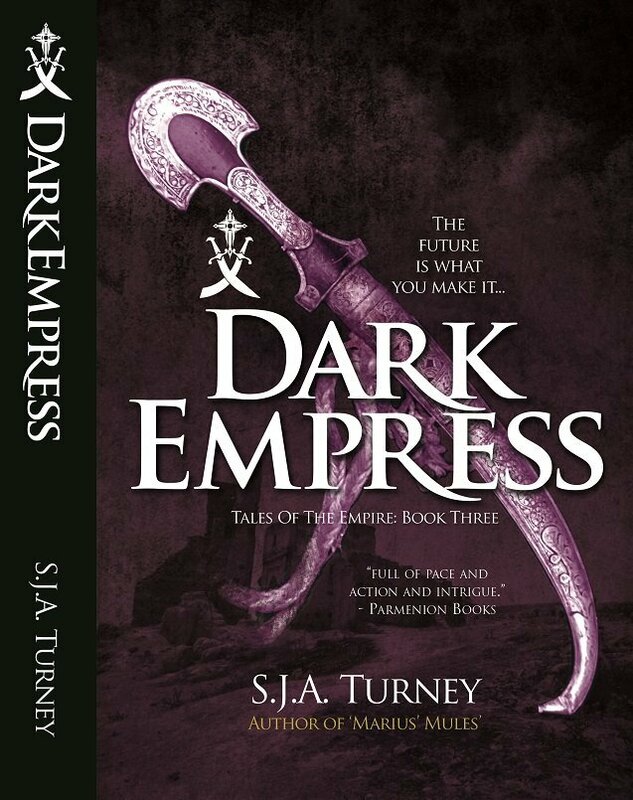 Dark Empress, the third volume in the Tales of the Empire series is yet another exciting, engaging, entertaining entry from S.J.A. Turney. The story revolves around two brothers, Samir and Ghassan and their childhood friend Asima. A strong bond develops between the three but they soon find themselves torn apart after their home town is invaded and conquered by a sinister Pelasian satrap. How they diverge in their pursuits and the methods they use to try and reach their goals makes for three tense filled story lines. The author does a masterful job in character development and treats the reader to some fascinating scenarios that can only play out within the framework of their individual mindsets. 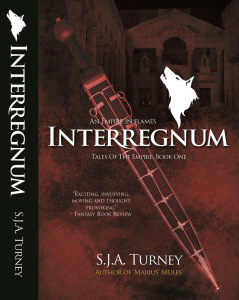 Cunning, deviousness and sometimes downright nastiness fills the pages as the story unfolds to a breath taking finale. Retribution, revenge and redemption are the watchwords in this wonderful tale. I believe this is the best of the three Tales of the Empire and serves as a stepping stone to Mr. Turney’s later works especially his Ottoman Cycle. I heartily recommend this book and give it 5 stars. 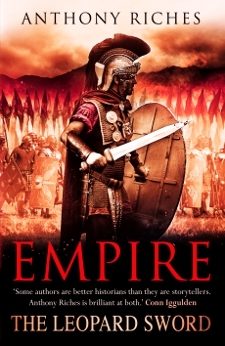 While this is the fourth book in the most excellent Empire series, it is the first one that I have reviewed…when I read the first three I had yet to begin my pseudo-career as a book reviewer. In this volume we find the Tungrians posted to their original home in Germania Inferior to seek out and destroy the bandit gangs that are disrupting the grain trade in the area. The worst of the bandits is lead by a mysterious cavalry masked villain who goes by the name of Obduro, an ardent worshiper of the forest goddess Arduenna and possessor of a brutally efficient sword. The author does a masterful job at giving clues as to who the masked man is while at the same time making it difficult to figure it out. It takes a bit of doing but eventually the main character in the series, Centurion Corvus(in reality Marcus Valerius Aquila) comes up with a plan to unmask the villain. There are also some really good subplots and back stories to go along with the meticulous research that has become a hallmark of Mr. Riches writing. I especially enjoy the verbal jousting between members of the Centuriate and the plot twists that the author inserts to bolster the main story line. My only complaint is a selfish one in that he kills off one my favorite characters in the series…I won’t say who it is…just that he will be sorely missed. 5 stars and well done Mr. Riches. Almost nothing came easy to the Romans as they attempted to conquer Britain. Even Gaius Julius Caesar failed, not once but twice. One of the big reasons for this difficulty was the Briton known as Caratacus. He is a fascinating figure, a charismatic leader, a fearless warrior and a man who learns from his mistakes. 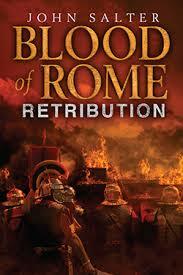 In book one of this series by John Salter he made the mistake of trying to take on the Legions head on. In book two he has changed his tactics and now Rome is faced with a dangerous foe who will stop at nothing to drive the invaders from his homeland. The author has taken book two up a notch as he takes us more deeply into the minds of the main characters, especially Caratacus/Caradoc and the Roman Centurion Varro. He has also continued the meticulous research that makes this story come alive not only in action but in the emotional conflicts that arose as the native peoples struggled to decide how to deal with Rome…to acquiesce and enjoy Roman favor or to remain free. Throw in a few plot twists and an optio with a terrific wit and you have a solid 4 star story…a story that is not done yet.